(Finishing up Import Week…) Can’t spotlight foreign cars without featuring at least one British two-seat roadster/convertible. 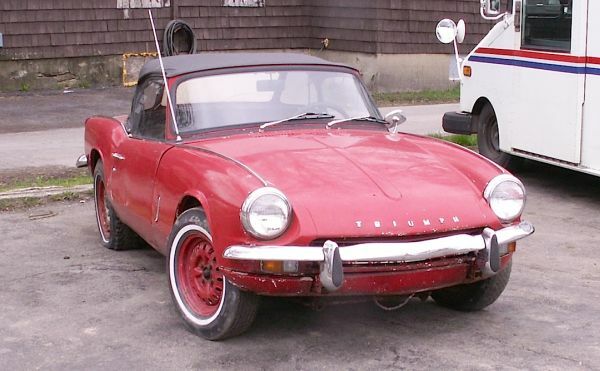 And why not go with one of the most popular of its day: a 1967 Triumph Spitfire Mk 3, seen some time ago in North Tonawanda. The Mk 3 was sold from model years 1967-70 — you can tell this one is a ’67 by its lack of side-maker lights, which were required beginning in 1968. Jim Corbran, RRofWNY The post RealRides Of WNY appeared first on Buffalo Cars.